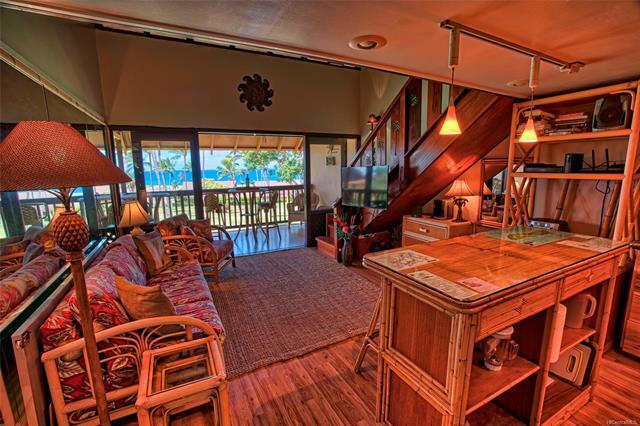 This desirable OceanView upstairs corner unit is move-in ready! Main floor features: a bathroom (tub/shower combo & vanity area), a queen sofa sleeper, bamboo bar/barstools, granite counters, disposal, refrigerator w/ice maker, microwave, lg. 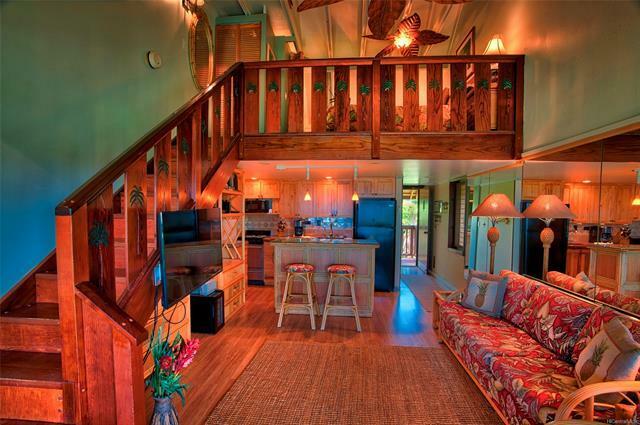 capacity W/D, and a ceiling-to-floor mirror to bring the sky & ocean view into the great room area. 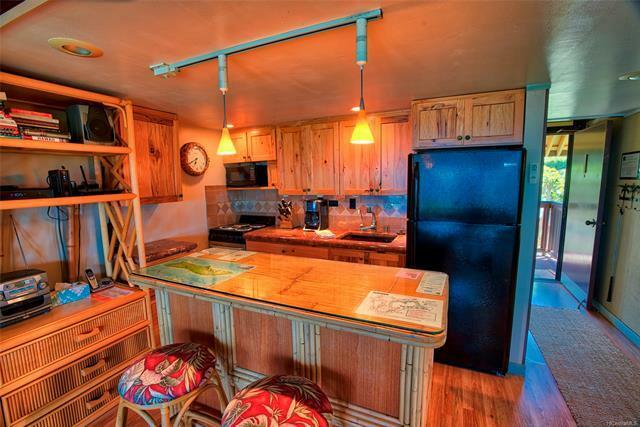 The hand-carved staircase leads to the loft and 2nd toilet, shower & vanity (there's even a wall-mount hair dryer), and king bed with overhead carved ceiling fan & flat screen TV. The upgraded glass louver windows offer daylight & subtle ocean breezes to cool your evenings. 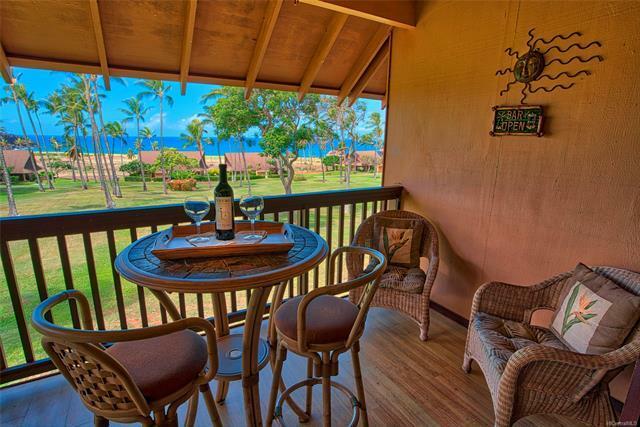 Enjoy evening sunsets & whale watching from your lanai. Pull down roller shades offer shade and privacy. Sq. footage & improvements may not match county records.